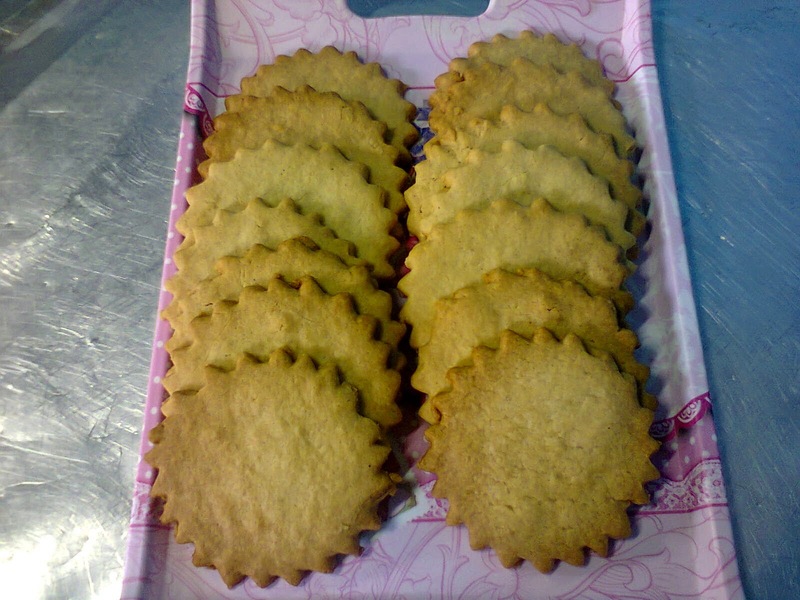 Today's recipe is a simple, delicious vanilla cookie. 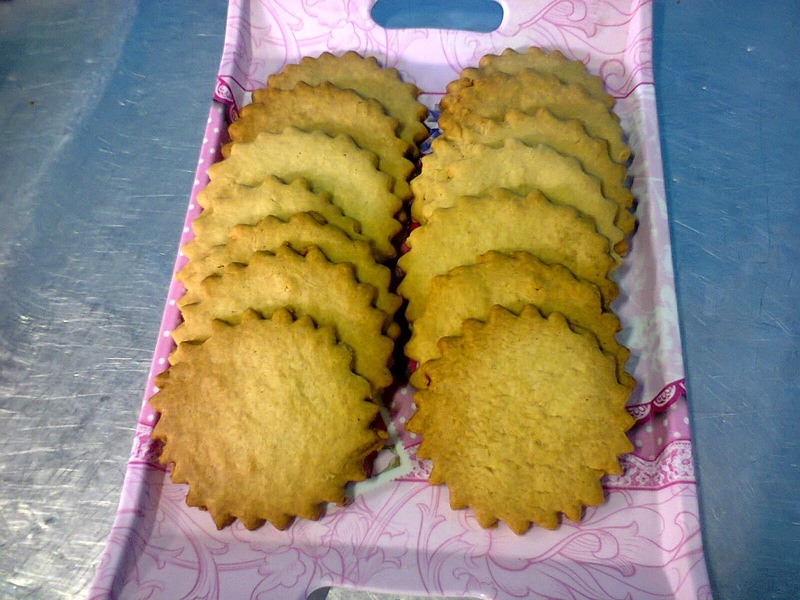 These were great with milk, they're really easy to make! Preheat your oven to a medium heat or 180 degrees celsius. Grease and flour a baking or cookie sheet and set aside. 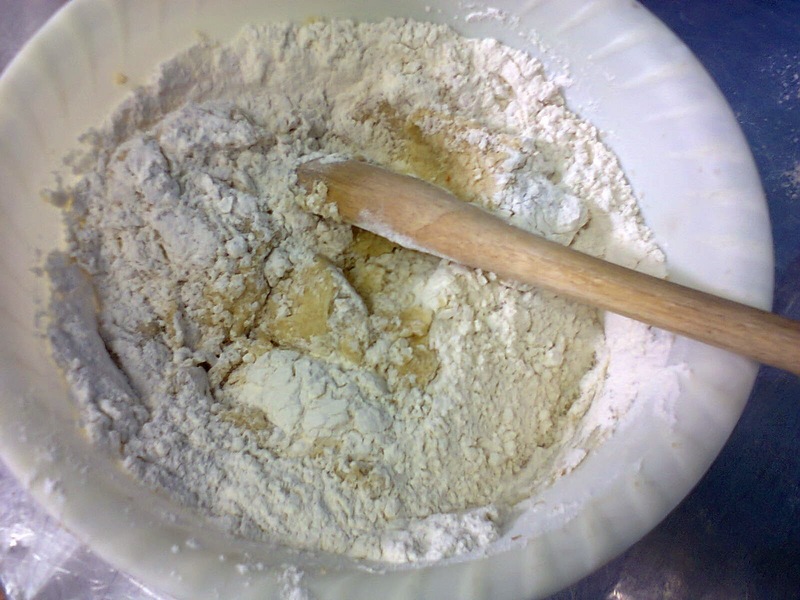 In a medium bowl, sift your dry ingredients together; flour and baking powder, then set aside. In a large bowl, cream your sugar and margarine for about 5 to 8 minutes and then add the vanilla and mix. 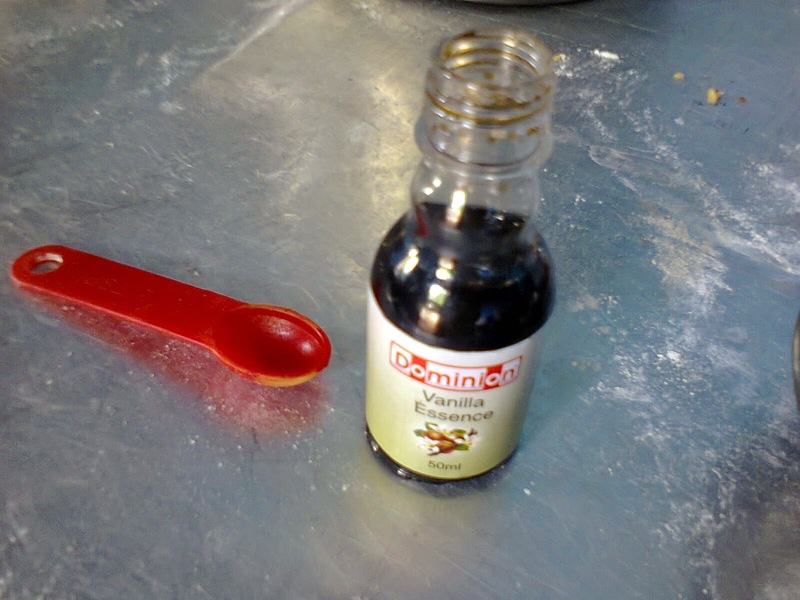 Beat the egg in a small bowl, then add into the creamed mixture and mix until well incorporated. 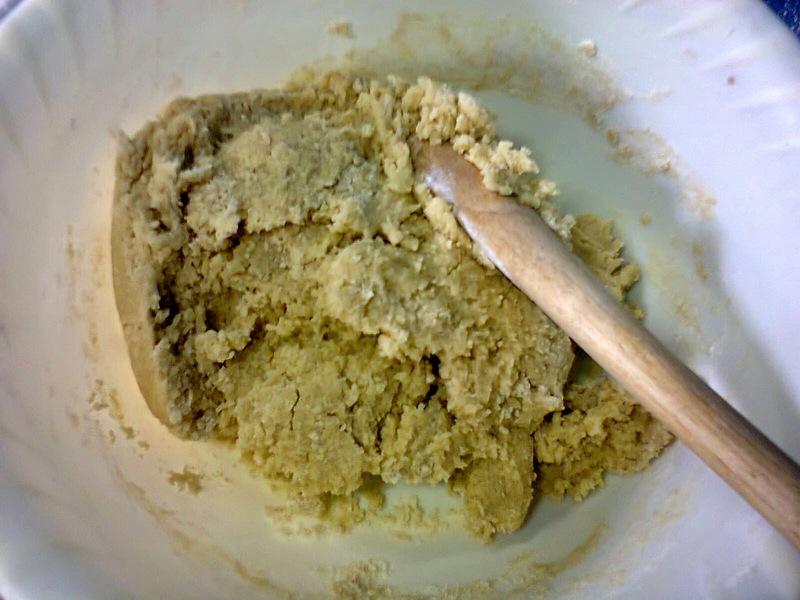 Using a wooden spoon, fold in the dry ingredients until well mixed, you should have a nice cookie dough. If you feel that it's too dry, add the milk gradually until you get a good cookie dough texture. 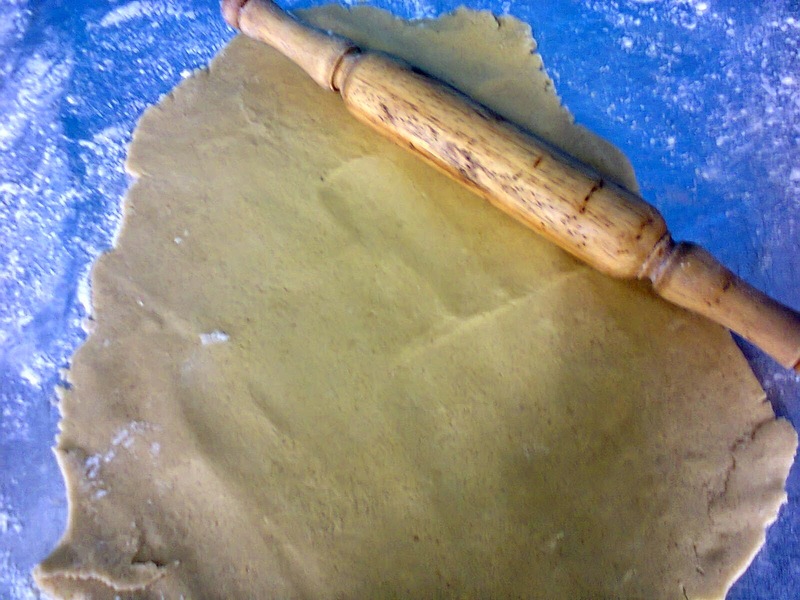 Roll out your cookie dough on a lightly floured working surface with a rolling pin. 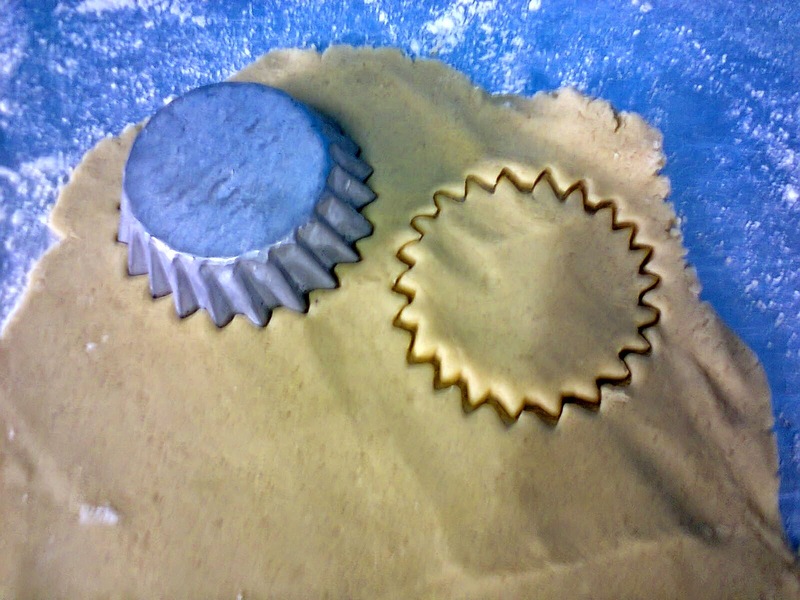 Then using a cookie cutter, cut out the cookie shapes while placing them onto the prepared baking/cookie sheet. 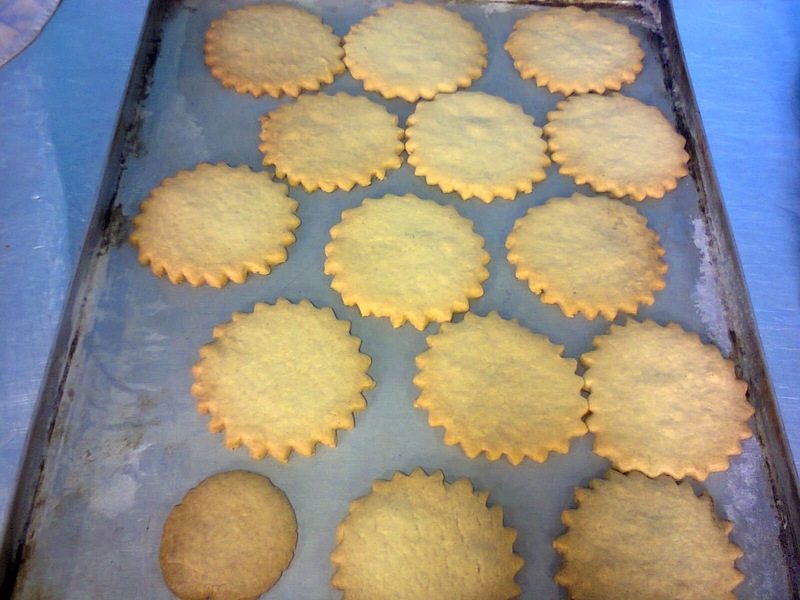 Place the cookies into the oven's middle rack and bake for 25 to 30 minutes, or until golden brown. 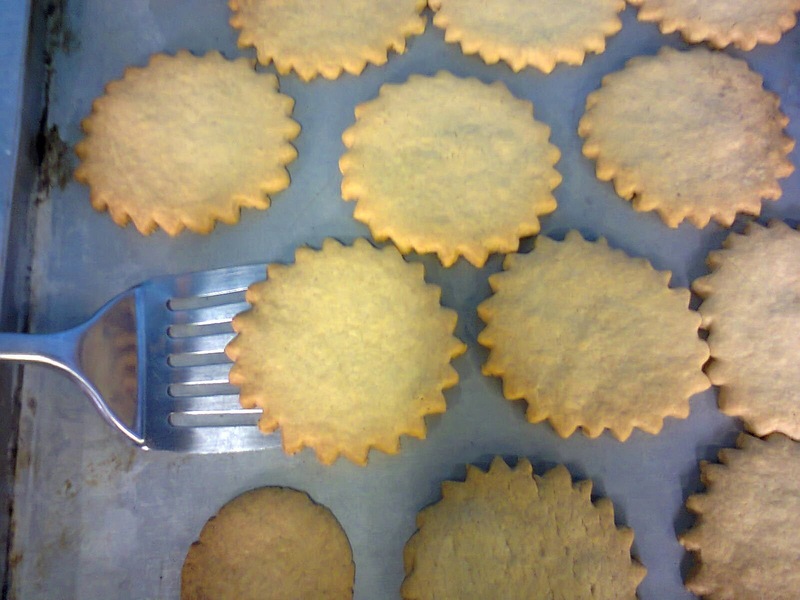 place them on a cooling rack or a tray to cool completely. Good luck and have fun making this recipe. Give some feedback if you're able to do this recipe and let us know how it went. If you don't know how to bake or if you would like to learn how to bake properly, please feel free to Sign up for our baking classes. We promise you'll have fun learning with us ^_^!